I love the look of enamelled cookware. 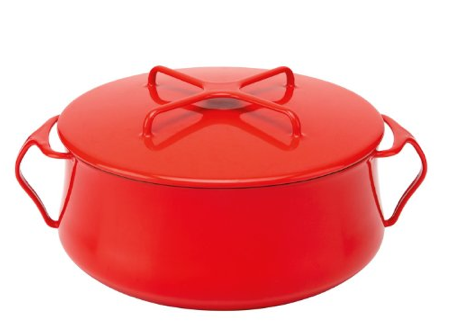 I have a set of Le Creuset pots and pans, but I'd like a covered dutch oven style pot and Le Creuset is a bit out of my budget at the moment. Dansk does enamel at a more purse friendly price and really, did the Danes ever design something that wasn't chic and stylish? I didn't think so. Kobenstyle is difficult to get in the UK, but not impossible. You can get vintage pieces from Ebay and Etsy, or new ones from Amazon.com. And while we're talking kitchens, I had to replace dishes I'd bought at M&S (less than a year ago!) 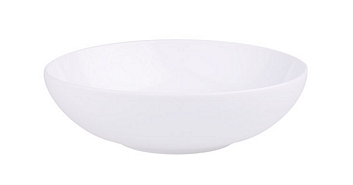 because most of them chipped, so I bought some stylish and attractive, but very reasonable dishes from Muji. I love the Danish/Swedish crime show The Bridge, and I'm so glad it's back for a second series. Saga is now one of my favourite TV detectives (after Columbo, Jessica Fletcher and Suchet's Poirot of course). I was trying to go budget with my moisturiser, and tried Say Yes to Carrots, but it was leaving a bit of a greasy film on my skin after rubbing it in. I really don't like heavy moisturisers. 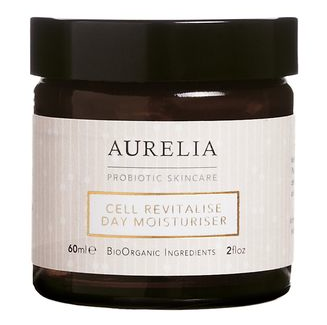 I took advantage of getting full time pay in December and bought this moisturiser from Aurelia for the first time. It smells divine and absorbs into my skin beautifully. It got it from Space NK, but you can also buy it from Net-a-Porter and Aurelia's own website. I am currently experiencing a horrendous illness which makes it impossible for me to eat anything other than dry crackers and slices of banana. I won't go into details. 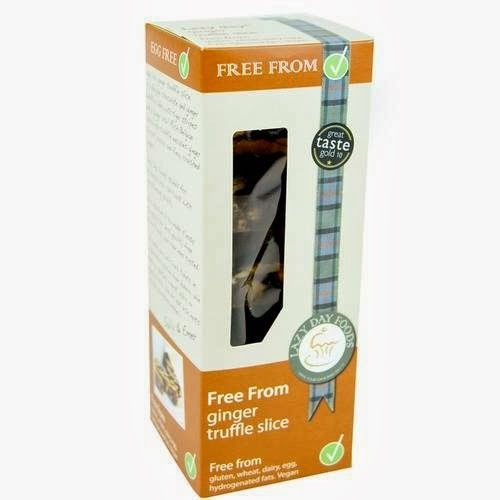 But as soon as my tummy is better, the first thing I want is a Lazy Day ginger slice. These are amazingly rich and decadent with a terrific gingery punch. They are vegan and gluten free, but you wouldn't know from the taste, believe me. I buy mine from Roots and Fruits on Argyle Street, but if you aren't in Glasgow, get yours online. They do a range of desserts, including their amazing tiffin and chocolate dipped ginger biscuits. Yum!